Ford Motor Co. has bested its previous full-year hybrid sales record in just the first five months of 2013. Ford had a banner year in 2010 in terms of its hybrid sales. 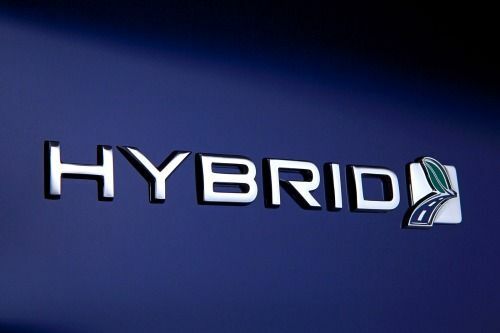 That year, the automaker sold a total of 35,496 hybrid vehicles — setting an all-time record. Despite posting record-breaking figures in 2010, Ford has already bettered its previous full-year hybrid sales record in just the first five months of 2013. In fact, Ford is projected to sell about 37,000 hybrid vehicles through May, which is an astonishing 375 percent increase over the same period last year. So what accounts for this remarkable change of fortune? According to Ford, the strength of its new hybrid lineup has attracted new customers to the Ford brand. Not only did the Ford Fusion Hybrid post its best May sales ever, but the Ford Fusion Energi is also projected to post its best sales since it debuted in February. As for its new customers, the Ford C-MAX Hybrid and Ford Fusion Hybrid are drawing a considerable amount of car buyers away from hybrid mainstays like Toyota and Honda, said Ford. In particular, the Fusion Hybrid currently boasts conquest sales of 67 percent, while the C-MAX Hybrid conquest sales are holding firm at 63 percent. Defined as a legal form of theft, conquest sales typically involve taking potential sales away from other models or drawing in car buyers who might typically be loyal to another brand. In terms of time spent on dealer lots, the Ford Fusion Hybrid is Ford’s hottest hybrid car. On average, Fusion Hybrids spend just 14 days in showrooms. In some markets like Los Angeles, the turn in rate is just 10 days. According to C.J. O’Donnell, Ford electrification group marketing, dealers literally can’t keep hybrids in stock. As a result of its growing presence in the hybrid market, Ford is now second only to Toyota in U.S. hybrid sales. Although Ford possessed a mere 3 percent share in the hybrid market last year, this number has ballooned to an all-time high 15.5 percent in 2013. According to customer satisfaction surveys by J.D. Power and Associates, Ford is now No. 1 in fuel economy, beating Toyota in fuel efficiency in every category where the companies compete. Ford’s full lineup of electrified vehicles includes the Ford Fusion Energi, Focus Electric, Fusion Hybrid, C-MAX Hybrid and C-Max Energi. Prior to 2012, the Ford hybrid lineup also included a hybrid version of the Ford Escape in 2004, which was the first American-built hybrid vehicle.